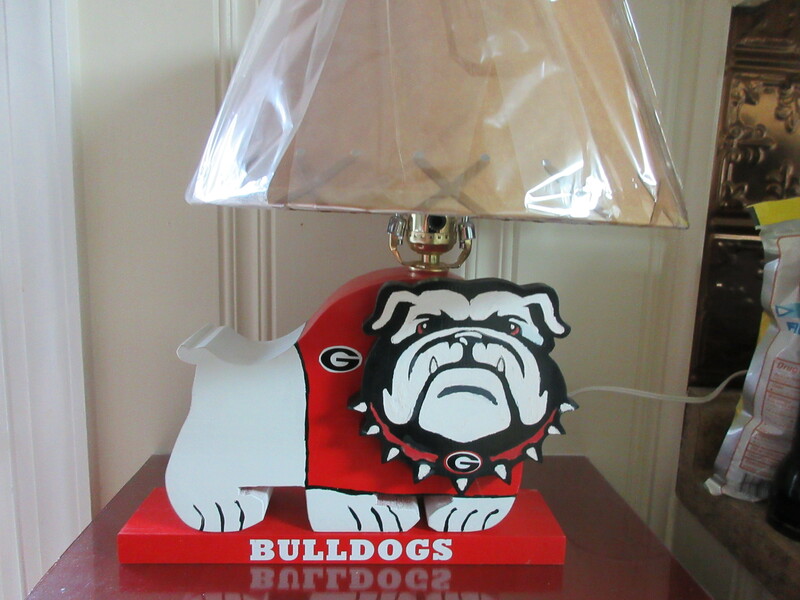 Hand Made Georgia Bulldog Lamp with 3D Hand Painted Head. The body consists of wood pieces laminated together to made a solid 3″ thick block. Then I cut them out with my home made template to look like a cartoon Georgia Bulldog. 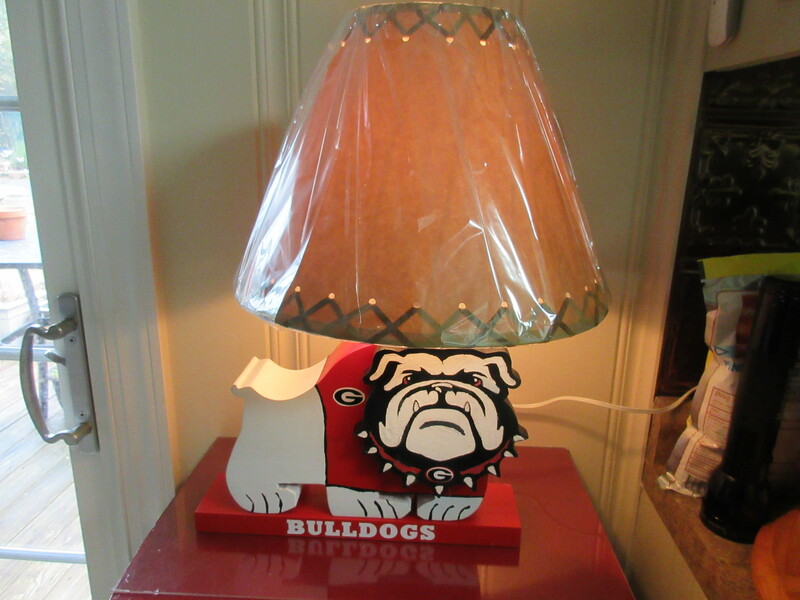 I also make bulldog banks, piggy and doggie banks, owl banks, elephant banks, owl clocks, etc, instead of lamps if you desire. Each probably has some flaws, since I use old lumber to give it new life. I cut the head to resemble UGA’s depiction and hand paint all of the face and ears. Then I attach the head to the body to give it a live 3D look. from an old cartoon character (Spike) on the Tom and Jerry cartoons. I paint the sweater red and the paws have black toe markings. The “G” on the sweater and the “G” on the collar are laminated vinyl that I hand design and cut. I route the power cord through UGA and put a socket with a harp bracket on it so any shade can be used, no matter the type. The cord is anchored to the bottom to eliminate it from being pulled out. After all the painting and vinyl is completed, I then coat it with several coats of satin lacquer to preserve it for many years, and keep it from fading. Then I add a wooden base that has the Bulldog script on it. It can be easily removed if you wish.